The Crochet Guild Of America (CGOA) Chain Link Conference is the ultimate crochet fan and yarn enthusiast’s dream conference filled with dozens of classes to improve your skill, a market place bursting with independent yarn label goodness, and the friendliest crafters known this side of the pond! * If that sounds anything at all like you, stick around to read my review and guide to the CGOA conference. *CGOA is based in the US, but membership is open to anyone around the world, so even if you’re not in the US, you’re welcome to come, and we’d love to see you! 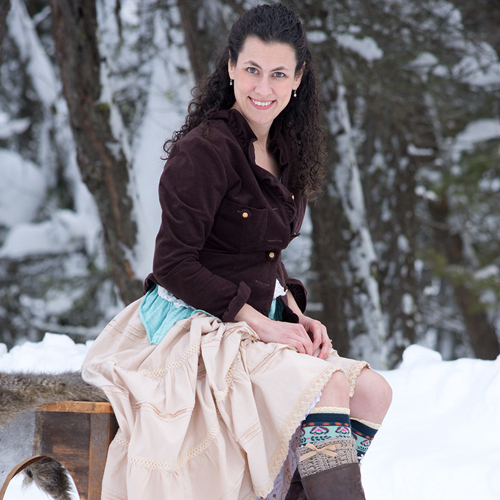 If you’ve been in the crochet community for any length of time you’ve probably heard of CGOA. Started in the early 90’s, with the goal of expanding the craft, and educating beginners and more experienced crocheters, CGOA is now a nearly 3000 strong group of crafters working together to bring joy and a love of crochet to their local communities. Chapter challenges, such as creating chemo caps for those in need in 2018, highlight the organization’s volunteer spirit (did you know all the staff members are volunteers?). The high-point of the year is the annual CGOA Chain Link conference held in various locations throughout the US, which will be the focus of this article. What can you expect when attending a CGOA Chain Link conference? Hundreds of friendly crocheters who are instantly your best friend (even if you’re terribly introverted like me). A lobby-full of people crocheting at all hours of the day. More beautiful crochet shawls than you can shake a hook at. Crochet experts in dozens of fields who are happy to answer any questions you may have when taking their classes. Laughter, jokes, late night dinners, and even later night crochet sessions. Getting to meet your favorite crochet bloggers and designers. A marketplace full of unique yarn and accessories to delight just about any crocheter. Once you make the decision to attend there are a few things you’ll want to do to make your trip go as smoothly and hassle free as possible. This next section of the guide covers those as well as describes the awesome things you’ll get to do once you’ve arrived at your destination. The conferences are hosted at a hotel, and you’ll want to purchase your hotel room at least 4-5 months in advance if you plan to stay on-site. There will probably be other hotels in the area, but you’ll need to pay for shuttle service to get you to and from the classes and events. The hotel that hosts the conference is usually on the slightly more expensive end of things, so grab a crocheting friend to split the costs if money is an issue. I got to room with Pia of Stitches n Scraps this year, but only got in on this one picture with her. (A big thank you to Marly Bird for taking this picture and providing the sparkles and beautifying filter (we look far more rested than we feel here! ), and to Jennifer of A Crocheted Simplicity for the complementary bunny ears. 😉 Such a fun group of ladies! This year the hotel I was in did not provide a complementary breakfast, so be prepared to bring your own unless you want to eat in the hotel restaurant ($15-$35/meal average where we stayed). Since these conferences are in metro areas there are usually a good selection of more affordable restaurants nearby. Microwaves and refrigerators are usually available to rent from the hotel for $10-$25 a day if you plan to bring your own food. You’ll find most of the crochet designers and magazine editors in business casual, but let’s face it, this is a time to relax and catch up with new and old friends, so grab your shawls, wraps, lacy tops or other garments you’ve crocheted and prepare to show them off! The obvious answer to “did you make that? !” is “of course!”, at this conference. Flaunt it (your crochet) if you’ve got it, girl! You’ll probably get some requests for the pattern, or to feel what kind of yarn you used—this is perfectly normal behavior and no one will think it’s weird for asking (but please, ladies, practice common courtesy, and ask first before you start touching)! If you are a beginner or intermediate level crocheter, and want to develop your skills, these classes are a must! There are a few “advanced” level classes, but if you find yourself at that level consider submitting a proposal to teach a class so you can share your skill with the rest of the community! 3 hour classes are $75 each for CGOA members, or $95 each for non members, making your membership dues absolutely worth it if you plan to take more than one class. Registration opens several months before the conference and certain classes sell out quickly, so set a reminder on your phone or calendar when the class registration date is announced so you are ready. Also, Be sure to pay close attention to what classes are offered because some classes are broken up into several sections, and what you really want to learn may not be in the first class. Finally, one of the most important things to remember about classes is: pace yourself–especially if the conference isn’t in your time-zone. The temptation is to load up on as many classes as possible over the course of the conference, but you’ll also want to get the most out of them, and being jet-lagged, or running on information over-load can complicate that. If you’re someone who needs a good amount of down-time (like me), consider arriving a day early, or lightening your class load. Not sure you want to take a class? That’s fine too since signing up for a class is not a requirement for attending the conference. Use the free time you have to chat with other crocheters and catch up on those WIPs and PHDs. <—not sure what a WIP or PHD is in crochet? Click that link and I’ll tell you. The events which include the annual business meeting, Excellence in Crochet Awards, banquet and fashion show, are a great way to understand how the CGOA organization is run, and a fun way to support other crocheters as they earn awards for Master’s class work (run through the website and separate from the classes offered at CGOA, gain recognition for their part in CGOA Chapter challenges, and show off their crochet in the fashion show or design competitions. If you want to preview some of these events, head on over to the CGOA Facebook page to see videos taken at the conference. They explain far more than I can in this limited article. I’ll wait. Yarn shopping! It’s what every die-hard crochet enthusiast lives for, and the vendor booths in the marketplace did not disappoint. A wide selection of indie yarn companies were offering yarn in all shapes, sizes and textures, with samples of items made in some of their yarns, so you could preview before purchasing. In addition there were gifts that crocheters are sure to enjoy such as mugs with witty sayings, hand lotion, and jewelry. There was also a huge table of discount novelty yarns, a beading vendor (because beading + crochet = true love), and a display of historic crochet hooks dating back to the early 1800’s, just to name a few. I would have taken more pictures, but lighting in the rooms were not optimal. If you want a behind the scenes look from conference-goers who were a little more adventurous with their cameras than I was, check out the #chainlink2018 tag on Instagram. In addition to the events mentioned above there were several smaller activities that seem to run in perpetuity alongside the other events. This includes a “yarn tasting” table with dozens of samples of indie yarn you could feel, work up a few stitches, and take a short piece with you, as well as a special lounge area with instructions for hats to make as part of an anti-bullying campaign hosted by Lion Brand Yarn. If you’re a newbie and want some extra support, you might try singing up for the buddy breakfast, a one time event where you get to meet a bunch of other fun-loving crocheters, and visit with a predesignated mentor to guide you through the ropes of the conference. While this breakfast happens on the second day, you should be able to get in touch with your mentor ahead of time if you have any pressing questions. This event is BYOB (bring your own breakfast). 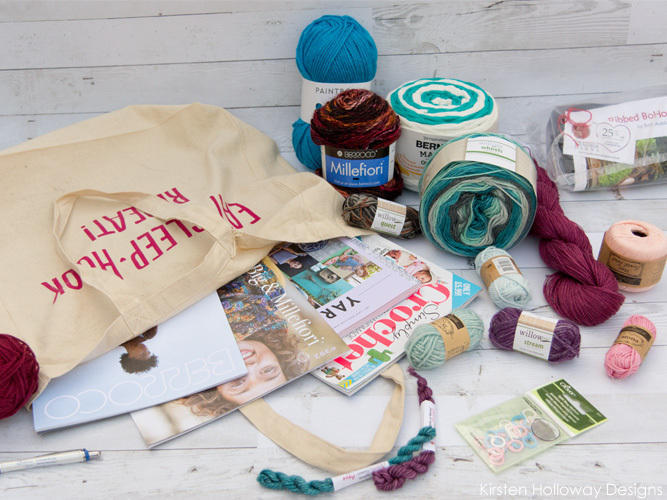 Did somebody say free yarn? Oh yes they did! One of the many perks of attending CGOA are the goody bags, handed out at the Crochet Excellence awards. **The catch is that there is a limited number, so be sure to line up for the award ceremony early so you don’t miss out on getting your bag ticket. 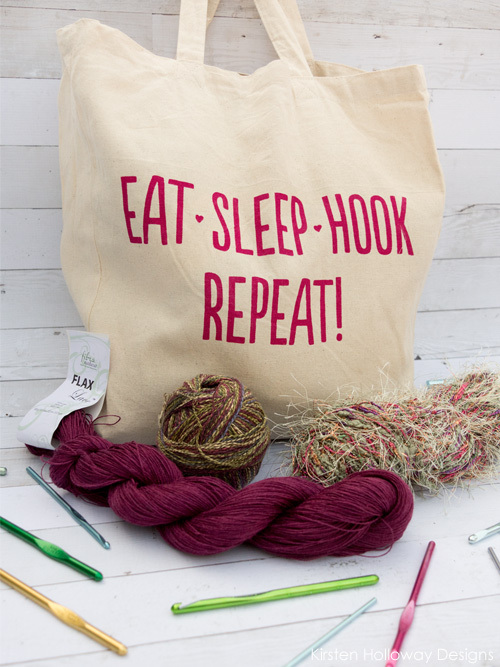 Each bag is a mystery (no peeking ahead of time), but they are filled with yarn samples, full skeins, patterns and other goodies destined to create a cozy spot in your heart, (or around your shoulders….but I digress). 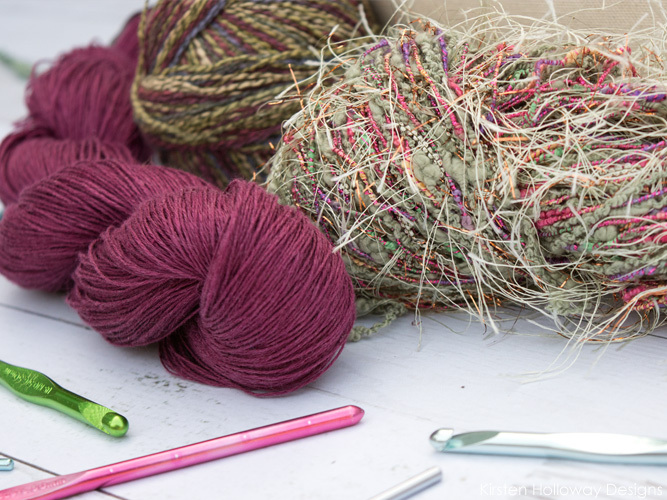 CGOA isn’t just for crochet fans, it’s also a place where designers and aspiring designers can rub shoulders with representatives from larger yarn companies and crochet magazines. Know who you want to meet? Get a designer friend who already knows the individual to introduce you, or come early to the Designer Meet and Greet. Not sure who’s who? Ask around. 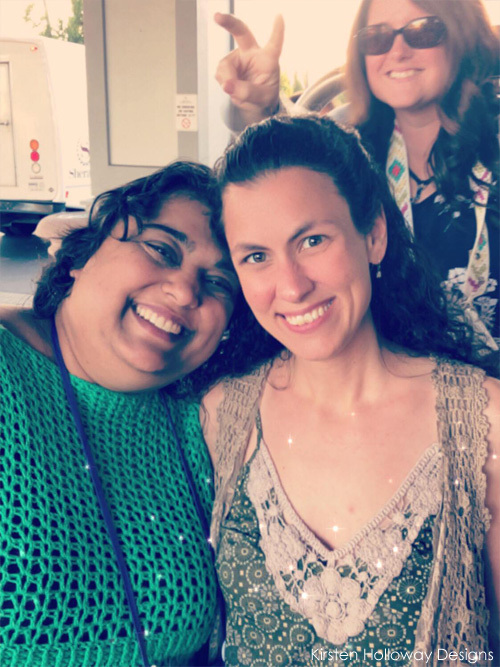 You might be pleasantly surprised to find you’re eating lunch with someone who has been in the crochet community for years and has connections to the people you want to speak with. If you decide to also shop your patterns around at the designer meet and greet, have your pattern proposals typed out in advance, and know what you’re going to say so you don’t waste the representative’s time. Now that you have the facts, you’re going to rock CGOA 2019, held in Manchester, NH, July 10-13! Remember, purchasing a CGOA individual membership for $35/year nets you a significant discount on classes, as well as discounts throughout the crochet community. You can read more about purchasing a membership here. One other thing to note: You don’t have to have a CGOA chapter in your area to be a member and attend the conference. I hope this post has answered at least a few of your questions! If you want to learn more about CGOA and the Chain Link conference, head on over to the CGOA website, or the CGOA Facebook page. If you like what you read please consider signing up for my newsletter, or following me on Facebook. You can also find me on Pinterest, Instagram, and Ravelry.